This is the old Aukopae road tunnel, which was used by traffic travelling between Aukopae, Tokirima and Ōhura from around 1923 to 1960. It was constructed in stages between the 1910s and the early 1920s to cater for a new mode of transport – cars – which were unable to travel up the steep terrain. The tunnel closed in 1960 because it was too small for modern trucks, and the road was moved away from the tunnel. 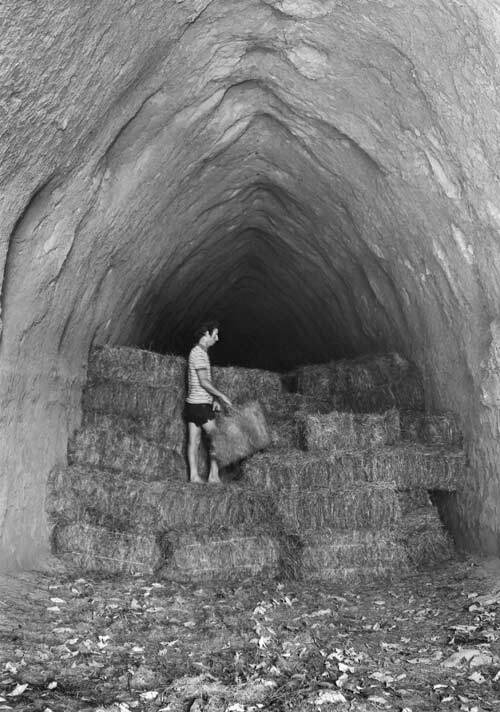 Local farmer Murray Craig, pictured, used the tunnel to store hay in the 1980s.